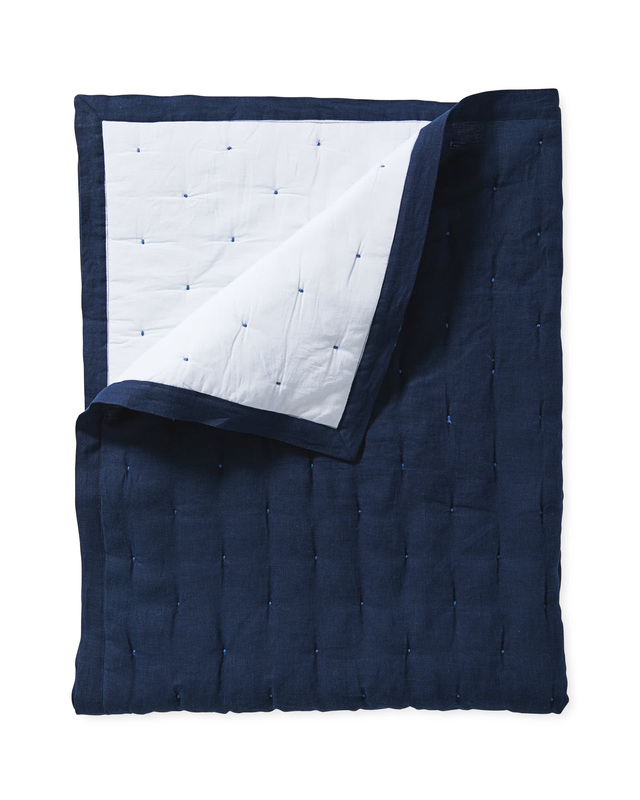 Sutter Mini QuiltSutter Mini Quilt, Navy alt="Sutter Mini Quilt, Navy"
Print One of our favorite designs for the master bedroom, now perfectly sized for the nursery. Linen on one side, cotton voile on the reverse, this has a great material mix that’s perfect for cuddle time. It also doubles as a great playmat to protect little knees and feet. Why linen? 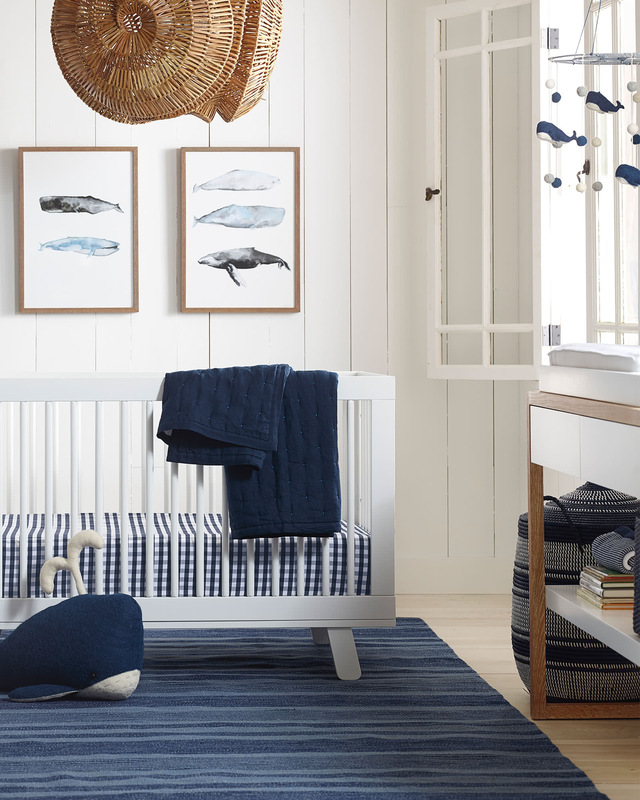 It’s a natural insulator, keeping baby cool when the weather is warm, yet cozy during cooler days and nights. As for cotton voile, we love the lofty feel and irresistible softness. 100% linen front, 100% cotton voile back.